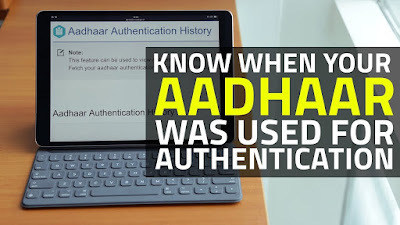 Unique Identification Authority of India (UIDAI) - Aadhaar Card has been issued to Indian Citizens and the citizens have right to check their Aadhaar authentication history on its website (https://uidai.gov.in/). This means that Aadhaar card holders can verify where all their Aadhaar has been used in the past six months. If any misuse has been detected, Card holders can even lodge a complaint.This feature can be used to view Authentication details. 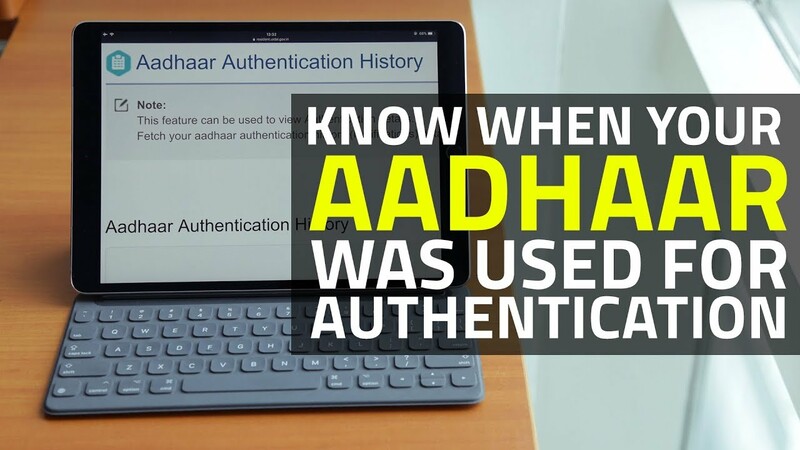 Fetch your Aadhaar authentication history (Notifications) data. 2. Now enter your 12-digit Aadhaar number in the requisite box on the website, just below 'Aadhaar Authentication History'. 4. Now 'Generate OTP' by clicking on the due link. The OTP will come on your registered mobile number, so you need to have the same handy. 5. The page that opens will ask require the following details: Authentication Type; Select Date Range; Number of Records; and OTP. 7. Choose the option 'All' here. 8. Click on 'Select Date Range', choose the option given on the page. You can select maximum up to 6 months. 9. Enter the 'Number of Records' you want to see on one page. You can request maximum up to 50 records per page. 10. Enter the OTP recieved for authentication and click on submit button. All the places where your Aadhaar has been used will show up.